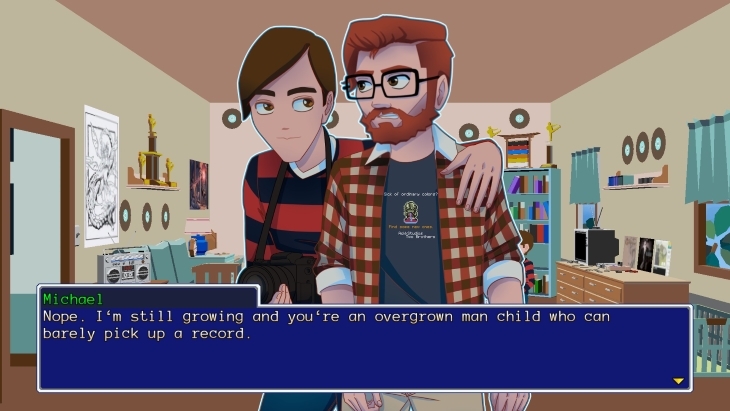 YIIK: A Postmodern RPG has felt the brunt of being associated with hipsters and hipster culture. I am prepared to give any game a fair shake as long as I have fun. 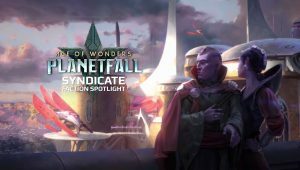 Read on to find out if the game has something more beneath the flannel-covered surface. While every part of a game weaves together, I shall focus on the gameplay for now. 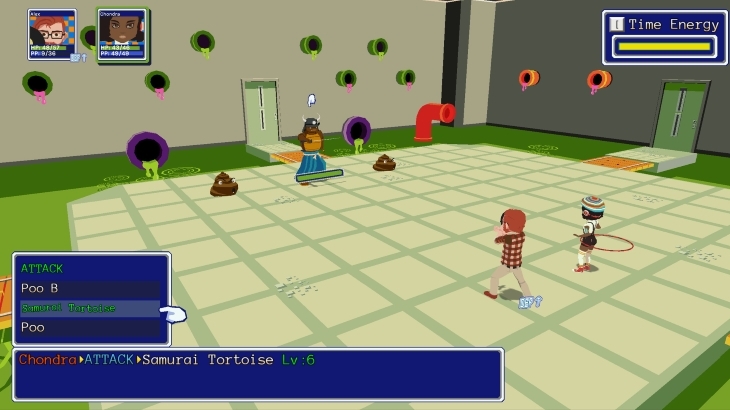 YIIK (or “Y two K”) is a turn-based RPG similar to Earthbound and Paper Mario. Bizarre enemies attack you while your attacks and dodges use distinctive inputs to make them more effective. 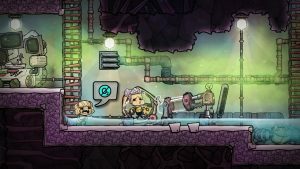 You explore the overworld, towns, and dungeons while solving puzzles. It took around four hours to becoming challenging, possibly due to how much time was spent talking- even for an RPG. Once it did, I found myself dealing little damage. Despite frequently leveling up, wearing new gear, and even focusing on high damage and crit-chance strategies with the main character, enemies quickly became damage sponges. Puzzles are fairly interesting, and treasure chests are well hidden in the world. 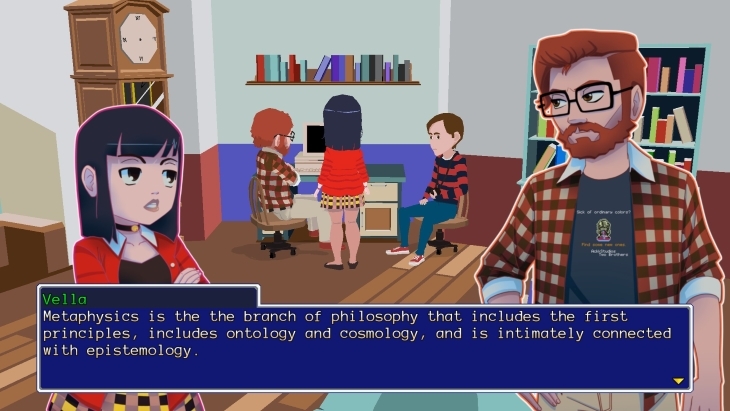 Yes, YIIK has better puzzles and encourages exploration better than many AAA games. That is far from high praise when you consider how some AAA games hold your hand. Good to great, but not excellent- a recurring theme in this review for the few positives. There are several issues that the developer should have known better. For example, you are not told how to sort your inventory, or that you can only sell to one shop. I only worked out how to sort by using the same key as the one used to sort the order of your party. You can use “Time Energy” to slow everything down, giving more time for inputs. The meter drains so fast and refills so slowly, that it is almost useless. Whether you intentionally drain all of it so you can mash for maximum damage, or a brief moment to make defending easier; you will not have enough meter for a few rounds. You can make this meter infinite in the options menu. While it feels like cheating, it never made the game a cake-walk. As mentioned previously, you end up doing so little damage that you almost need the edge. 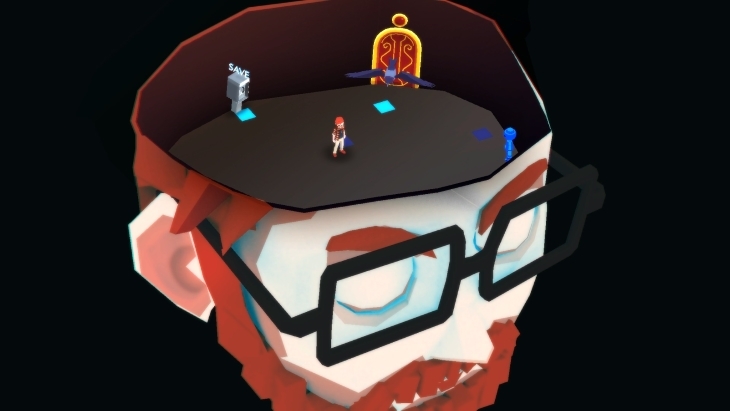 How YIIK handles leveling up is annoying as well. All EXP gained has to be spent at the “Mind Dungeon”. While leveling up party members requires speaking to an NPC over and over, you can tailor what stats increase for the main character. In full; you need to find a save point, go to the Mind Dungeon, go into the level-up room, choose what stats to improve on four doors, enter each door, talk to an NPC at the end of the corridor to spend EXP and access the next floor (level), and repeat. The entire process could have been done in a menu if not for the occasional battle. It all takes far too long. Another thing that irks me is how the initial control prompts are shown for a PlayStation 4 controller. When one of the first Steam Guides for the game is “How to choose keyboard controls”- you have done something wrong. The confirmation and back keys are K and L by the way. In addition, opening the menu is F2. All keys can be re-bound. There was one moment where I could not back track to older locations in a dungeon. The surreal dungeons mean it made some sense it could happen, but you are given no clue it would. If you back out of a door you just entered, it takes you to a new place. If you press on to the new NPC the camera focused on, it takes you somewhere new. It is nothing frequent saves and experimentation would not solve, but it can be an annoyance. Several Steam achievements did not unlock either. In addition, achievements that did unlock only did so after the game closed. Most of the achievements are progression based, meaning you would need to replay those segments to re-trigger the achievement flag. Alex has just graduated from college in 1999. A trip for groceries quickly goes off track after a cat steals his shopping list, and the abandoned factory it runs into is very strange on the inside. After meeting an equally strange girl, she is soon kidnapped by beings that horrify her. Alex returns home, only to find the supernatural message board he frequents has posted a video of a similar girl being snatched by similar beings. As Alex delves into finding her, he discovers more weird sights and mysteries. The plot follows a lot of cosmic horror based elements, without being a tick-box of what Lovecraft had done before. The story can be surprisingly unsettling at times, and I do praise that highly. Partly because I was not expecting it to be done so well in a non-horror game, and that it was a highlight in something with major issues. Likewise the in-game website feels fairly genuine for the era. Although when Alex follows up clues in-game, they are automatically done for the plot. Later in the game you can unlock side-quests by reading the posts, but it is annoying to hear the characters talk about important information you never see, or not talking about information you discover related to the plot; even if it is minor. 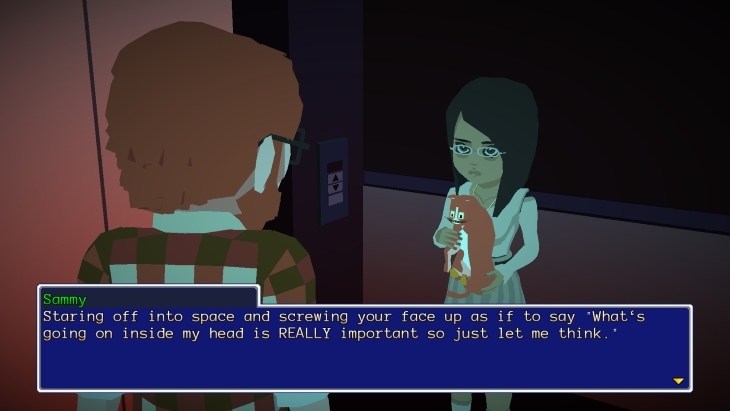 The downside to YIIK is the characters and the dialogue. Especially Alex. For starters, he has constant inner monologues, riddled with over-descriptive prose and veering off into inconsequential musings. Instead of making Alex seem quirky or intellectual, it just makes him seem pretentious. Furthermore, his narration takes so long. A scene where he finds a cat, thinks it looks like Salvador Dali, and then gets his shopping list stolen by it takes much longer than it should. He even goes on a weird tangent on how he would describe the cat’s personality to a friend if he owned it. The ceaseless babble destroys “show don’t tell”. Alex describes his every emotion and thought. One time I was allowed to move while listening to a monologue, only for the next area refusing to load until it finished. Alex is a hipster stereotype, but more importantly he is unrelatable and it is hard to want him to succeed. His family is well off enough to send two children to college debt-free. He fails his attempts at a snarky-yet-witty attitude. He has no desire to work. Characters support him even after he says heinous things, especially female party members. He comes across as weak-willed, and is almost forced into action by others. The fact he is a supposed blackbelt feels like a paper-thin attempt to make him seem masculine, and explain how he is a capable fighter (in a world of samurai sewer rats and a cashier’s complaining can hurt you). His own thoughts are verbose, while actual dialogue to other characters is snide and even rude. He can’t make meaningful relationships and has few aspirations, yet considers himself smart. Simply put, Alex does not realize how good he has it, but does not seek self-improvement or even what his flaws are when he realizes he’s despicable. A protagonist can (and should) be imperfect, as should them changing in some way. You can have an unlikable main character if he gets his just-desserts or redemption. Instead; Alex is an awful shell of a human who is touted as a savior because of the plot. One twist at the end arguably means this is all intentional. Even if I enjoyed the twist, it is not worth enduring Alex. The best characters are really a choice between how little they annoy you. The chip on Vella’s and Chondra’s shoulders along with Rory’s fractured state of mind get old really fast. I personally didn’t mind Michael, probably because his ideas and plans moved the plot along when Alex did not, and having the rare funny line. Claudio also got the odd smirk out of me. Dialogue can also be outright illogical. On two occasions a character outwardly said they kept to themselves, only moments before or after giving you a lot of information about their life. “The world has treated me so unkindly it’s made me suspicious of everyone” is not something that sort of person would say within five minutes of meeting you. How the cast reacts as a whole to events is abnormal as well. While men made of stars and planets send them screaming for the exit, they pay no mind when a giant one is taking up the entire night’s sky. Though this may be a case of a visual flare purely for the viewer. 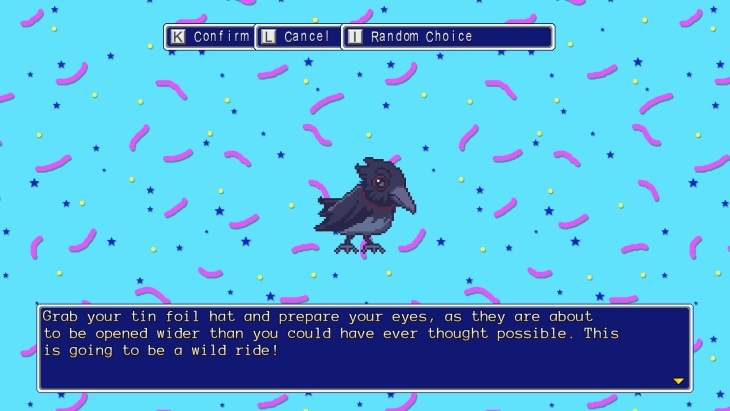 Likewise, the game apes the weirdness of Earthbound, but misses the mark. While both games address other-wordly beings shattering what they feel is normal, it still feels weird that talking panda teddy bears and living stop signs do not evoke any reaction. It feels like the world is not normal or surreal enough. The world largely looks like ours. Since Alex is so glad to tell you when he is freaked out every other time, the times he doesn’t must be assumed to be normal. Stepping into a pocket dimension the first time is fine, but the monsters within are not. 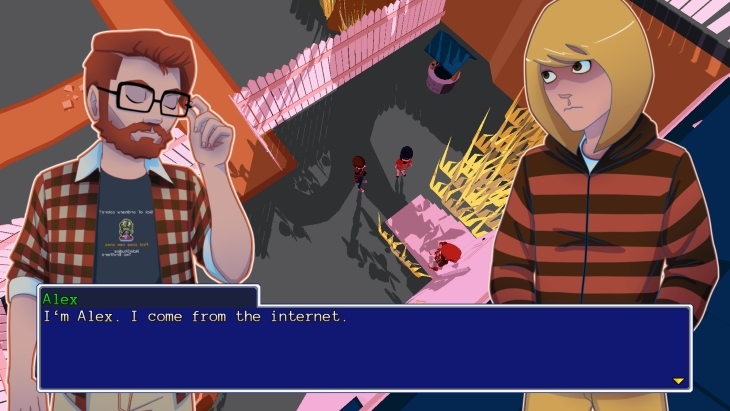 The mainstay of the quirky RPG NPC is attempted, but a lot of the gags fall flat. 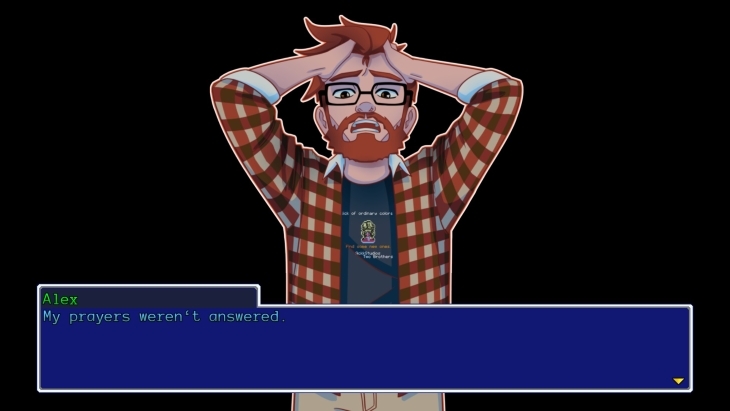 From the nonsensical, to the cliché (“This isn’t a video game!”) and many in-your-face 90s references, once NPCs stop becoming something you want to talk to it becomes a chore. This in turn makes genuinely interesting or funny dialogue have a much harder sell since you’re not in the mood. The graphics use very simple shapes and large single-color textures. The real world areas look very basic, but it is quite effective in the bizarre pocket-dimensions. With surreal and clever imagery (if not entirely original), it’s supported by the flat textures to give an alien feeling. When the game has a few creepy moments, they are done very well. Camera angles, imagery and some visual effects make for a fantastic use of horror. Not a masterclass, but at least “How to be scary for Dummies” without using jumpscares. 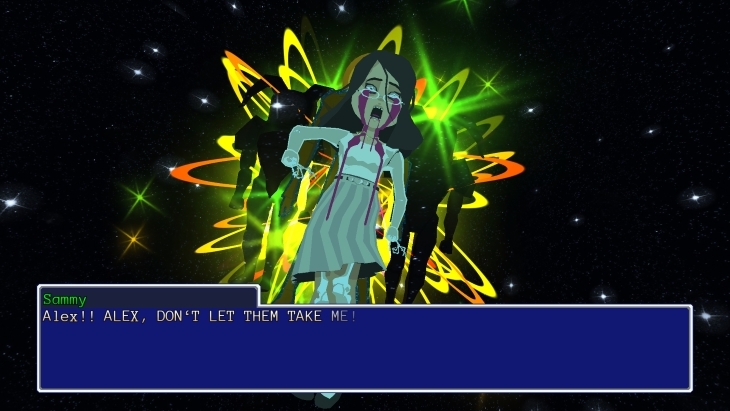 In the rare instance a character’s face changes on their 3D models, their look of terror is perfect- especially during the girl’s kidnapping. There is clearly some talent involved for telling a story visually. It is just a shame no one shuts up. There are blurred lines between artistic choice to evoke older graphics and developer skill. 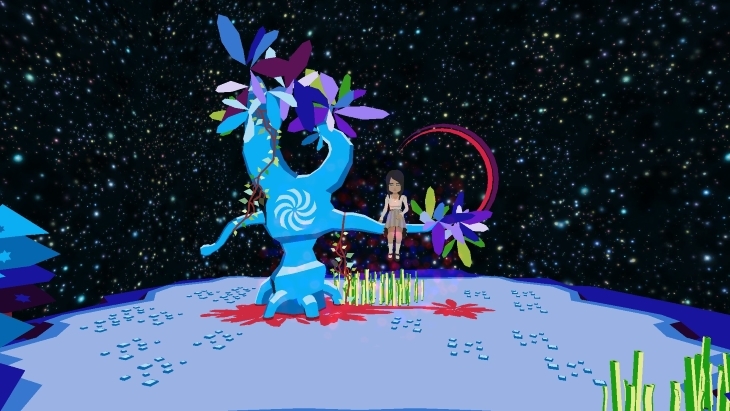 Characters move at sub-30 frames per second in the overworld, while swaying flowers and other objects move at a much smoother rate. It also applies to the mixture of references. 16-bit menu avatars, low poly 3D models, real world stock photos, crisp artwork for conversations, and more. There is no consistency, so even when something looks good it is either out of place or overshadowed by something else. Most battle animations are a little lackluster. Alex swings his arm halfheartedly when using his basic attack, and most characters listlessly lean to the side when dodging. Most enemies also have very basic animations with text describing what they did. Even if it is trying to evoke older games, it just doesn’t look good. 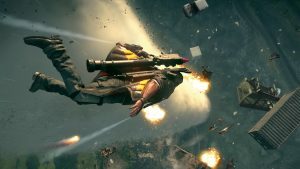 While there are a select few things that are done well, the graphics are a little below average for a smaller developer. 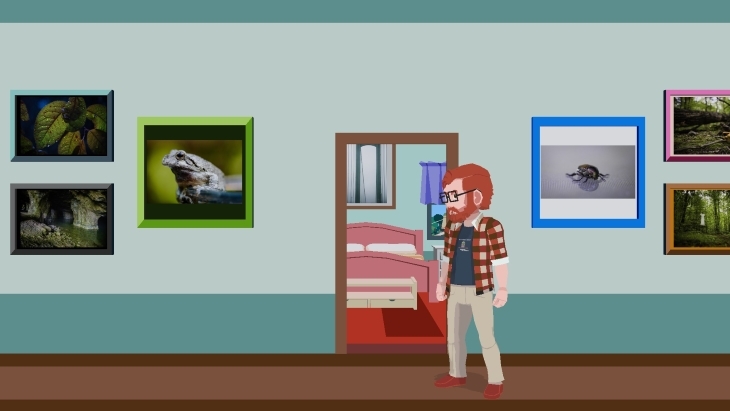 YIIK has a fantastic looking part for every OK and ugly part. The music sounds great. At least I think it does. 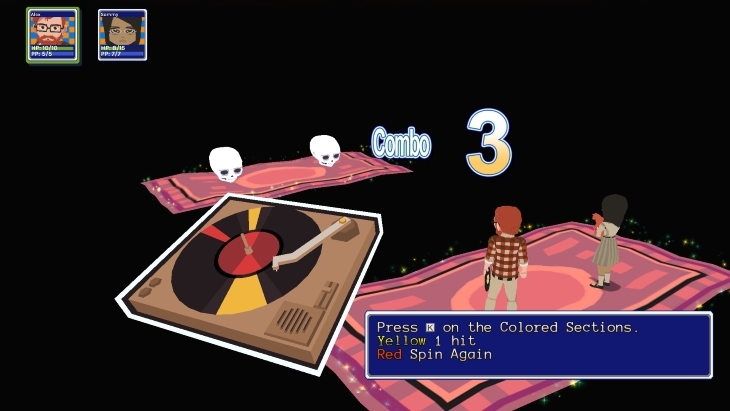 The battle music is certainly strange and eclectic (much like the enemies), and- while enjoyable- is hard to remember. It uses chiptune on occasion, but it does not feel as in-your-face as the other gaming and nerd culture references. 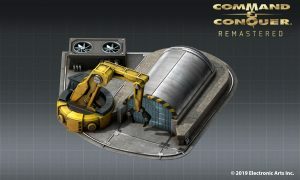 The game has multiple battle tracks to prevent them getting repetitive. Rather than have a few per area, it seems like many are used throughout the game. At least, I never felt it getting repetitive, though this may also come from how hard it is to remember the tracks outside of their openings. Music as a whole fits brilliantly, bar one or two tracks. It’s nothing you are going to be humming to yourself, but some scenes are enhanced by the music. The voice acting is also suitable, though there is the odd line where a character sounded less scared or angry than they looked. 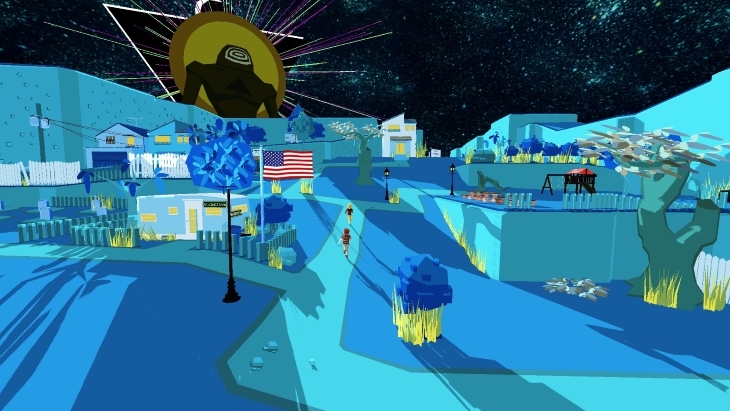 At its core YIIK: A Postmodern RPG is a sub-mediocre game with a few genuinely good things. The world and characters may have been enough to elevate it up from that, but instead they send the whole thing into a tailspin. I would love the developer to work on an actual horror game, but kept away from the dialogue. 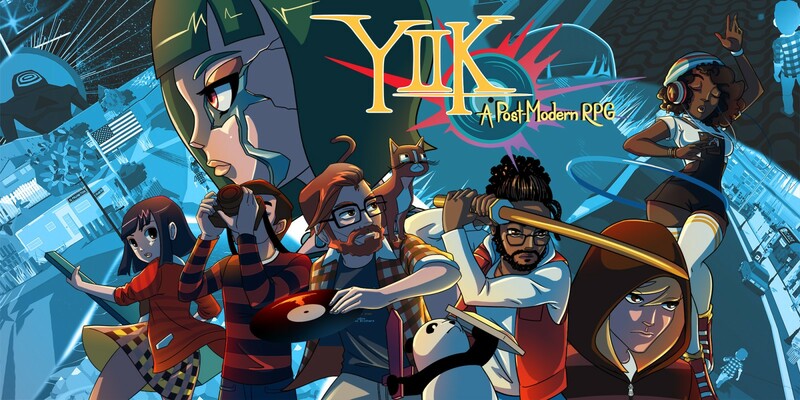 YIIK: A Postmodern RPG was reviewed on Windows PC using a review copy provided by Ysbryd Games. You can find additional information about Niche Gamer’s reviews/ethics policy here.